Was Assyria merely a more brutal, more uncivilized and less interesting offshoot of the culture created by Sumerians and Babylonians in Southern Mesopotamia at the dawn of history? Do the Assyrian reliefs that fill our museums give a complete picture of the phenomenon that was Assyria? Was the contribution of this people to world culture merely an incredibly effective military organization? 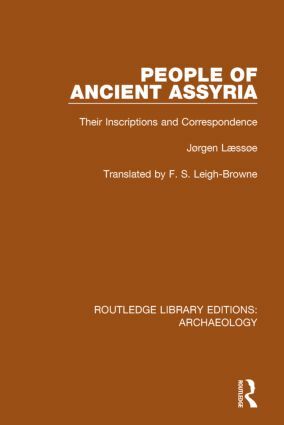 The answers to these questions are sought here in this detailed book from 1963, referring to personal documents of the time, in the letters Assyrians wrote to one another rather than in the annals of the rulers.